A third-generation real estate professional, Elise brings significant understanding and experience to the acquisition, development, and sale and leasing of commercial property throughout North America. She serves national and international companies in multiple industry sectors, including distribution, transportation, retail, telecommunications and manufacturing in matters involving office buildings, inventory and data warehousing, restaurants, telecommunication structures and public property. Elise assists in leading our Corporate Real Estate team, advising large and small companies on all of their real estate needs, including purchases and sales; evaluation of real estate as part of a corporate acquisition; development and zoning; and office, warehouse, retail and telecommunications leasing. Elise is also an experienced advisor to governing municipalities in planning and zoning and other matters of municipal law. 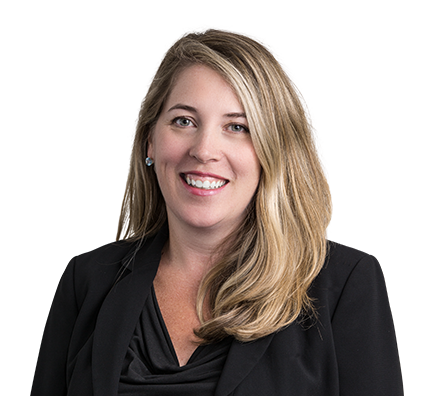 Elise is a member of the committee that guides the firm’s True North enrichment program for women. Represented a $60 billion multinational distribution and outsourcing company in its leasing of office and warehouse space throughout the United States, Canada and Mexico. Advised a national restaurant company with 500+ locations on its leasing of retail space throughout the United States. Represented several landlords and tenants in their leasing of first-class office space throughout the United States. Advised multiple leading wireless telecommunications carriers and tower companies on real estate matters. Represented global, national and regional businesses in their purchase and sale of real estate assets throughout the United States. Counseled global, national and regional businesses on the real estate assets involved in their acquisitions of other companies.